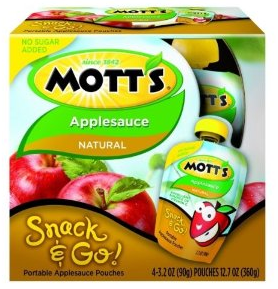 $1/1 Any Mott's Juice Or Sauce = $1.29 Applesauce at Price Chopper! Mott's Applesauce Jar, 6 pack & the To Go's 4 ct. are on sale for $2.29 at Price Chopper this week = $1.29! There is a $1/1 in the 1/11 SS as well.